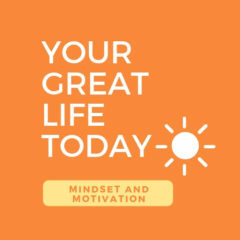 Author Howard ValentinePosted on February 16, 2019 Categories Motivation, Motivation Tips, PodcastsLeave a comment on Be Different. Be You! Want To Find Some Great Motivation? Author Howard ValentinePosted on June 30, 2017 Categories Motivation, PodcastsLeave a comment on Want To Find Some Great Motivation? Author Howard ValentinePosted on May 13, 2017 Categories Motivation, PodcastsLeave a comment on What Are You Thinking? If You Want To Do Something, Start Doing It! Author Howard ValentinePosted on May 7, 2017 Categories Motivation, PodcastsLeave a comment on If You Want To Do Something, Start Doing It!